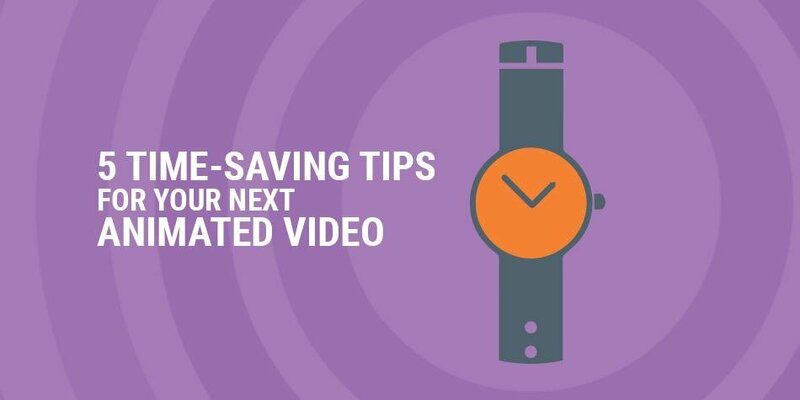 Below, we have put together a list of our top 5 time-saving tips that will help you cut down the time needed for your next animated video, as well as increase the quality of your work. For those of you who want to get right to creating your animated video, you can sign up for your Moovly license here… It’s free! First things first, identify what type of animated video you want to create and pinpoint how you’re going to create it. Are you creating a how-to explainer video? Or perhaps you want to create an animated product launch? It all starts with the right preparation. A great script is the backbone of any animated explainer video. So draft a killer script that will not only blow your audience away but save you time when it comes to recording it. Did you know that with Moovly, you can browse the extensive list of ready-made animated videos and customize them as you wish? Using pre-made animated templates is an excellent way to save time and jump straight into the deep end. For those of you looking to create a short animated video, we definitely suggest using one of our ready-made animated templates. Let us know what Moov you would like to use as your video template, and we will send it to you. It’s that easy! Start by identifying your priority tasks. Things like creating a script for your animated video or perhaps creating animated assets. Once the priority items are done and dusted, move onto to the fewer priority items or ones that would typically take less time. Now that you have all the tips, it’s time for you to get started on creating your animation. Use a couple of the above tips and see how much more efficient your video creation process will become. You can sign up here for your Moovly license, and get started on bringing your animations to life!